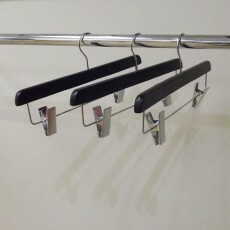 This dark brown clip wooden hanger measures 35 cms across the top bar. It has two gilt traditional clips with black plastic on the tip to stop your items being marked. 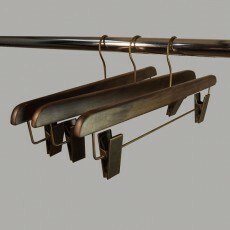 It also has a gilt hanger that can swivel around to suit any display. 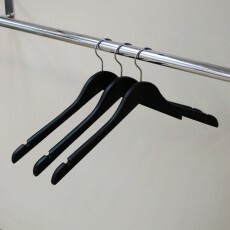 This hanger compliments the other two hangers in the same range (bar hanger and no bar). 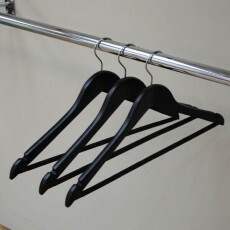 It is great for displaying those tricky items such as skirts and trousers etc. It’s walnut dark brown colour adds a real classic look to any shop. This is available individually or in a box rate. 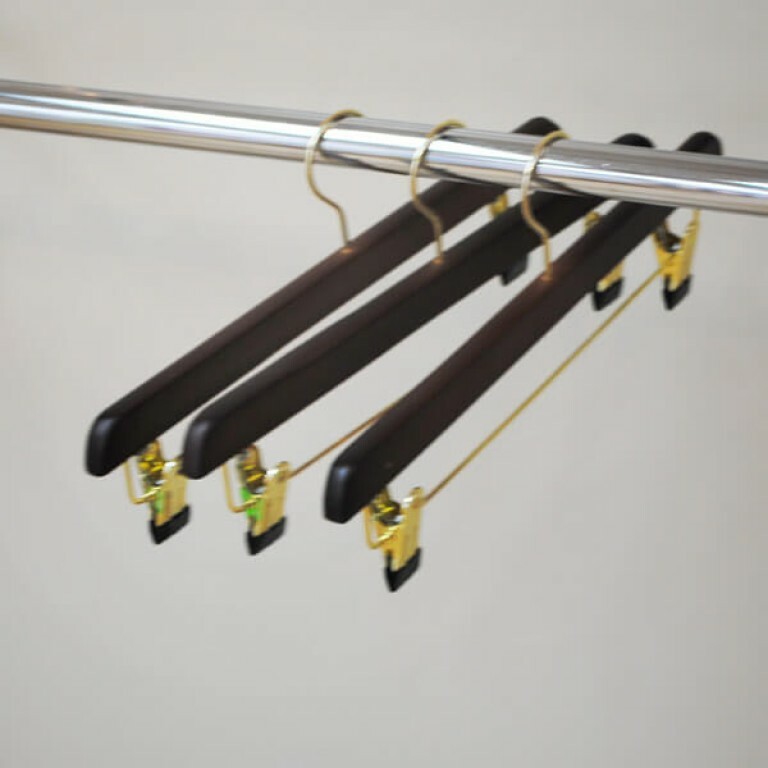 Superior quality wooden clip hanger (dark brown (Walnut) wooden coat hanger with metal clips).